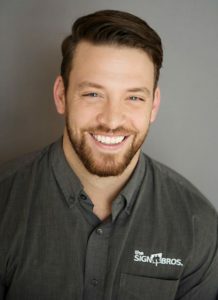 This unabridged article spotlights one of our selected Young Sign Makers of 2019, Michael Seibert, and begins with a brief bio before moving into their views of the industry. Michael Seibert, Co-Owner, The Sign Bros, Inc.. of Athens, Georgia. Along with his brother, Justin Seibert, Michael Seibert is the co-owner of The Sign Brothers, LLC, a company founded back in what he describes as “beautiful, funky” Athens, Georgia twelve years ago. His shop has grown by constantly developing and adding to their in-house capabilities—evolving from a print-only shop to a professional-grade sign company replete with flatbed and roll-to-roll printing, CNC routing, a dedicated wrap booth, a paint booth, and four bucket trucks. Our biggest accomplishment to date has been our recent expansion into the Experiential Graphic Design (EGD) arena, where we’ve had the opportunity to design, produce, and install some of our most engaging work. EGD work for the University of Georgia Men’s and Women’s Tennis Teams facility. 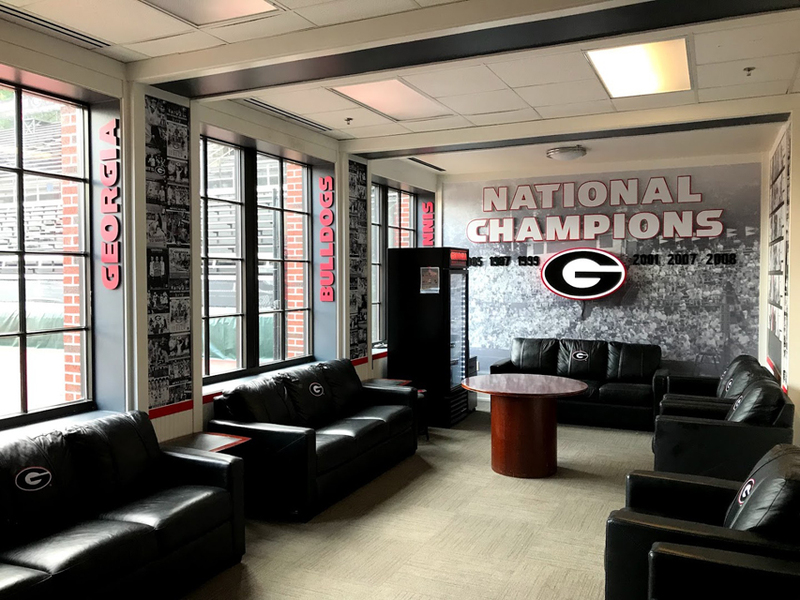 We just finished renovating some space at the University of Georgia (UGA) for its Track & Field team, whose Men’s and Women’s teams won the 2018 Outdoor and Indoor National Championships, respectively. Our EGD package of interior graphics and signage was able to highlight many of those student-athletes and their accomplishments. This new space for UGA will help to recruit talented athletes to their program for many years to come. Any business owner should agree that their biggest challenge is recruiting, hiring, and retaining talented people. We are very fortunate to have a highly capable team, but getting to this point has been a big challenge, for sure. When it comes to attracting younger talent to you shop, invite them to be a “maker of things.” In a world full of professions like servers, advisors, and agents, it’s unique to be a maker. Unfortunately the local sign shop has a reputation for being a bit slack. Whether it is poor communication, missed deadlines, or inconsistent pricing, I would like to see more professionalism in the industry. As the industry increases the perception of its professionalism, it will recruit a generally more professional workforce. I have also found that you will go pretty far in this industry by simply (A.) answering the phone, and (B.) doing what you say you’ll do.